Complex channel paths – Historically, specialty heat exchangers are made using traditional CNC machining to create planar arrays of cross-drilled holes. This limits the shape of the internal passageway to straight, planar channels. 3D printing now allows internal geometries to be fully optimized for localized thermal performance with varied shapes and complex 3D flow paths. 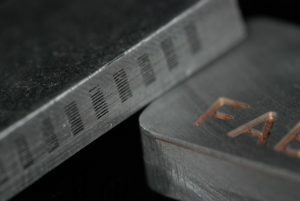 Simplicity – Traditionally, more complicated thermal devices are made using a series of connected machined components joined via brazing or diffusion bonding. However, these additional steps are expensive, time-consuming, and undesirable on the production level. 3D printing removes all connections allowing for uniform thermal expansion and removal of problematic joints. Higher performance – In most traditional production methods, air gap, material selection, and channel sizes can never be fully optimized. Metal 3D printing allows designers to optimize thermal performance with ‘impossible designs’ by removing traditional manufacturing geometry constraints. Channel cross section and unique flow elements can be easily integrated into a 3D printed heat exchanger. Multiple metals can easily be printed in the same part during one print job. Customization – As products become more and more specialized, thermal solutions need to scale to fit customer needs that change customer to customer. For example, many electronics systems scale up and down based on the number of processors needed. Currently, all systems in the same family run with an oversized thermal solution that matches the worst case. With 3D printing, there is no variable cost to changing the design from serial one to serial two. Each package can have a thermal solution right-sized for that specific unit. Time to Market – With all of the manufacturing complexity of a brazed or welded heat exchanger, tooling up for production is an expensive and time-consuming task. With 3D printing, early designs can be printed days after design and time between iteration becomes weeks not months. This can more than half the time to get a new design to market. Compared to powder 3D printing processes, UAM is uniquely enabling because of the mechanism used to build up material. UAM enables mixing and matching of dissimilar materials within a part to achieve both optimized thermal performance as well as optimized mechanical and weight requirements. Selective additions of copper within an aluminum part can significantly boost thermal performance without having much effect on mass. Dissimilar metals can be built or solid tubing can be pressed into machined channels to meet corrosive requirements when needed. UAM allows embedding sensors and electronics into parts. Heat exchangers have been produced with thermocouples embedded in the solid metal where they are safe from corrosion but allow access to data points not typically accessible. Fabrisonic has also embedded pressure sensors, monitoring circuits, and even spring/ball combinations for integral check valves further pushing the limits of 3D printed heat exchangers. In aerospace aluminums, Fabrisonic has built thermal management devices with burst pressures in excess of 6000 psi with hermetic seals tested to have helium leak rates of 8.0E- 10 cc/s.